WASHINGTON, Nov. 14 (Yonhap) — China has begun to ease the enforcement of sanctions on North Korea despite pledging to maintain pressure until the regime gives up its nuclear weapons program, a U.S. Congress-related report showed Wednesday. The U.S.-China Economic and Security Review Commission noted in its annual report that China had implemented sanctions more thoroughly than in the past between early 2017 and early 2018. But there appeared to be an uptick in bilateral exchanges since the June summit between U.S. President Donald Trump and North Korean leader Kim Jong-un, it said. sanctions intact until North Korea gets rid of its nuclear weapons,” the report said. “Official statistics are unreliable, but North Korean workers have returned to jobs in northeast China, economic activity and tourism have picked up in border towns, flights in both directions have resumed, and the two countries have conducted high-profile official exchanges to discuss economic development,” it added. The report said that when China was strictly enforcing the sanctions, there was a “significant decrease” in North Korean exports to China. But it also noted there were “holes,” such as the use of ship-to-ship transfers of banned goods. “Beijing always leaves some key lifelines in place for North Korea, most notably some oil exports, to avert a complete regime collapse that could result from an economic meltdown,” the report said. It recommended that Congress direct the U.S. Department of the Treasury to submit a report on China’s sanctions enforcement within 180 days. The commission was created by Congress in 2000 to provide an annual report on the national security implications of the U.S.-China relationship. In other key findings related to North Korea, the commission said that while China supports U.S. and South Korean diplomatic engagement with the North, its focus is more on avoiding war and instability in the neighboring regime, not on denuclearization. In the event of a contingency in North Korea, China appears ready to “respond forcefully” to manage refugee flows, seize weapons of mass destruction and occupy territory to gain leverage over the future disposition of the Korean Peninsula, the report said. 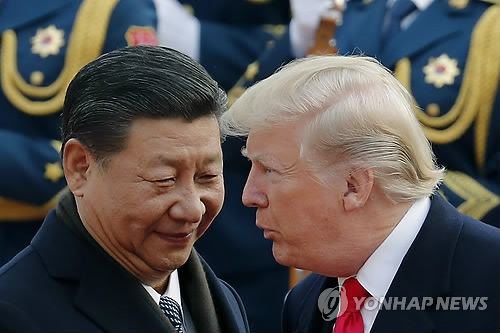 Meanwhile, there is no evidence that the U.S. and China have held in-depth talks on how to avoid “miscommunication and unwanted escalation” in such a crisis, it said.